JBGR Retail wanted to define their services and sell their expertise within JBG Companies and distinguish themselves from other commercial real estate firms. Our challenge was to tell their story in a way that celebrated their innovative and human approach to development, retail leasing, and property & asset management. Creating a new brand is so much more than designing a logo. We brought the JBGR Retail brand to life through a new website. So many real estate firms tell their story using the same-old, staid combination of statistics and renderings. 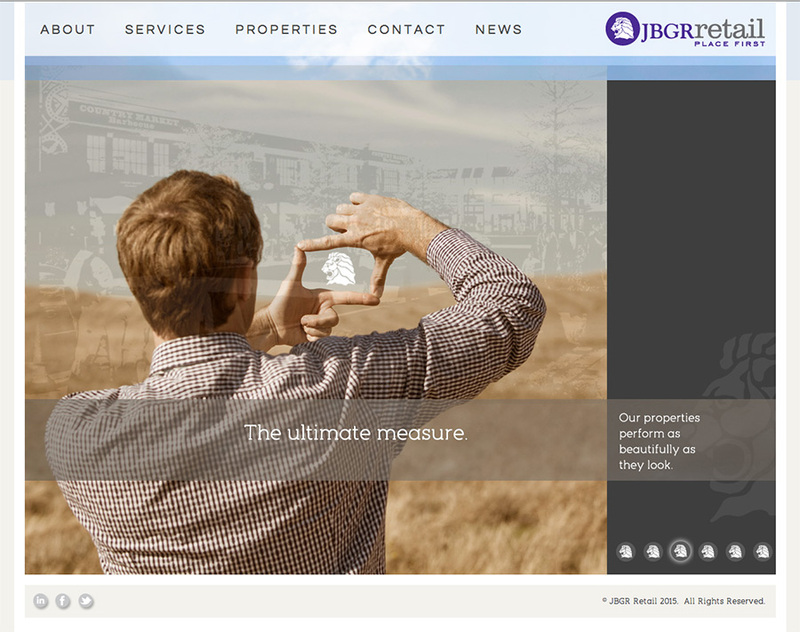 We chose an unexpectedly human approach: imagery that portrays JBGR Retail’s attention to detail. Along with the unexpectedly warm imagery, we used conversational, engaging copy. We also created a new logo that connects the firm to the JBG Companies’ logo. 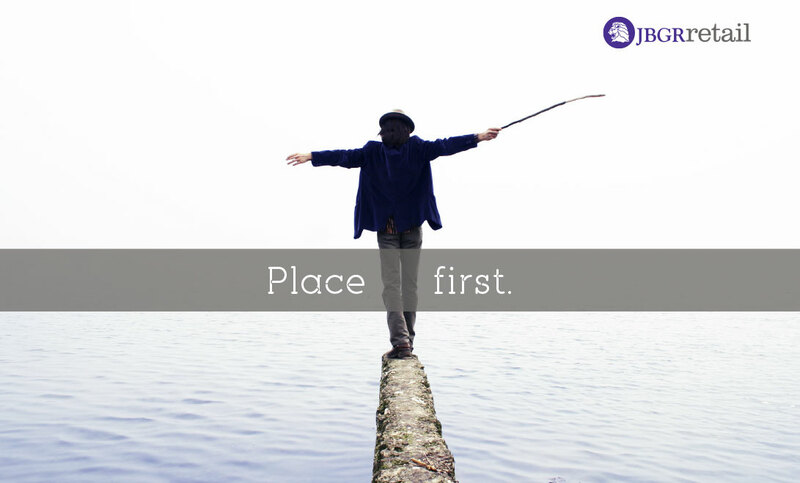 And we created a rallying tagline with a double-entendre that challenged internal and external audiences alike – Place First. JBGR Retail continues to thrive in a competitive market.